There are many website builders available today. You can pay for an account and various features, or you can get free versions that are ad-supported. But not all website builders are made equally. Most are simple and easy to use – but don’t pack the sophisticated technologies behind Search Engine Optimization or pre-made page types. When you chose a website builder, you need to consider what it’s being used for. If you’re promoting your local business, you need a website builder that supports your marketing efforts and maximizes your broadcasting abilities. A website builder that offers such features as: 1. Built in SEO 2. Social Media Syndication 3. Page Types 4. Mobile Responsive 5. Easy to Use. These features will ensure that you’ll be able to publish content easily, getting the best search results from your content. It’s easy to create a professional looking business website in minutes with our awesome website builder. 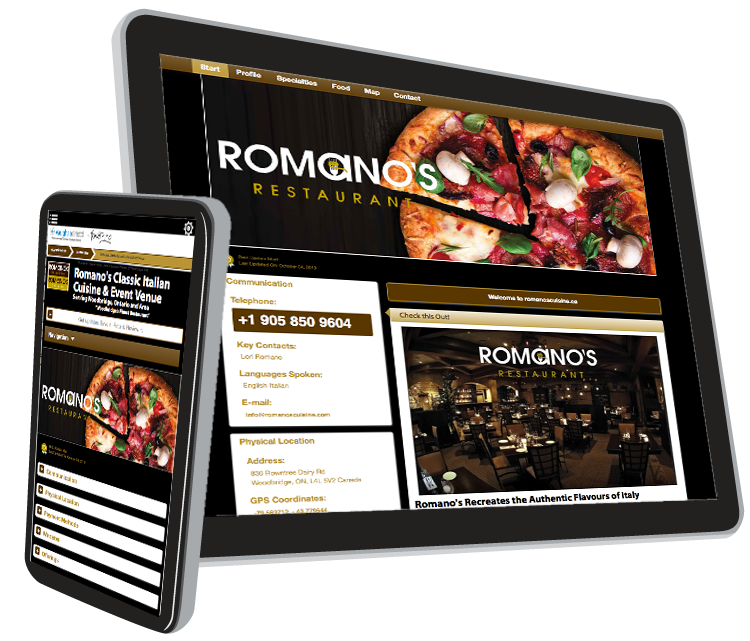 Expand your reach and get more customers with a site for your local business that is search engine friendly and looks great everywhere – from computers, to smartphones, to tablets. A website builder you’ll actually want to use. 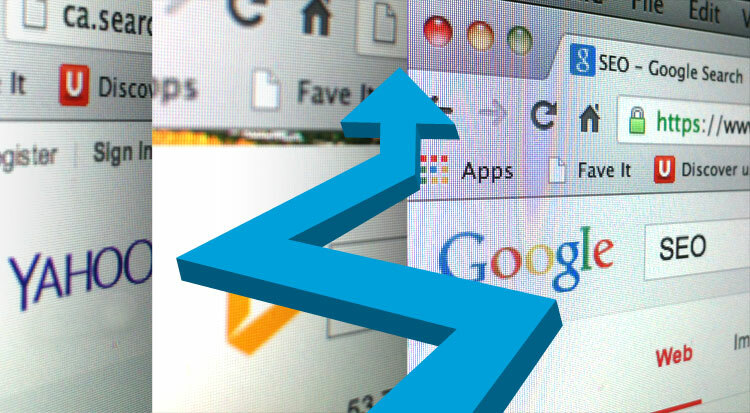 Easy-to-use templates and built in SEO give you a powerful web presence in just minutes. What are you waiting for? Get online today. Easy to customize, with no tech skills required. Get a professional website in just minutes and start reaching new customers today. 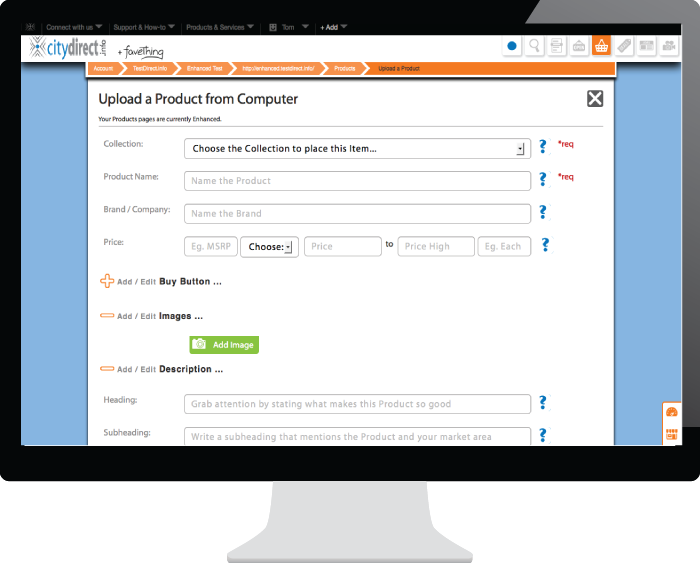 Get found more often for what you sell, with an easy to use website builder. So easy-to-use you’ll be back to doing what you love in no-time! Website builders are important for any small business owner. When you don’t have a large marketing budget, you need to get the most out of every investment. Website builders are a sophisticated tool that allows even the smallest budget to get a professional web presence in a short amount of time. By using a well-made website builder, you can expect to create a professional looking and engaging website in just a few minutes. Pre-made templates and page types make it easy to fill in your own information and publish to all of your social media channels. 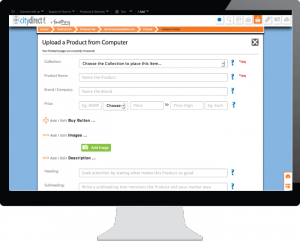 With functionality like that, you can reach a wider audience than ever before – in just minutes! Get your content published quickly with templates. Whatever your business offers, we have an easy-to-use page type for it. A fully featured website content management system (CMS) gives you complete control over your website’s content and graphics. Since quality content creates quality inbound leads, we’ve made adding and editing content as easy as possible. Unlike other online site creators, we don’t treat all your content the same with one page type. The requirements of a page to showcase a product are different than that of a service. Therefore, we offer specific page series for different purposes. With a rapidly growing amount of people using the internet on mobile devices, it’s imperative to have a website that looks as great on a smart phone or tablet as it does on a computer monitor. Our website builder creates one site that automatically responds and looks awesome everywhere. With our easy to use system, your content is Search Engine Optimized every time. We’ve done the hard part, so your small business gets top search results. Search engines like Google, are essential in getting your business’ information and offerings in front of more customers. CityDirect.info strictly follows SEO best practices and constantly iterates and adjusts to the changing SEO landscape. We keep on top of SEO coding so you can focus on your great content. 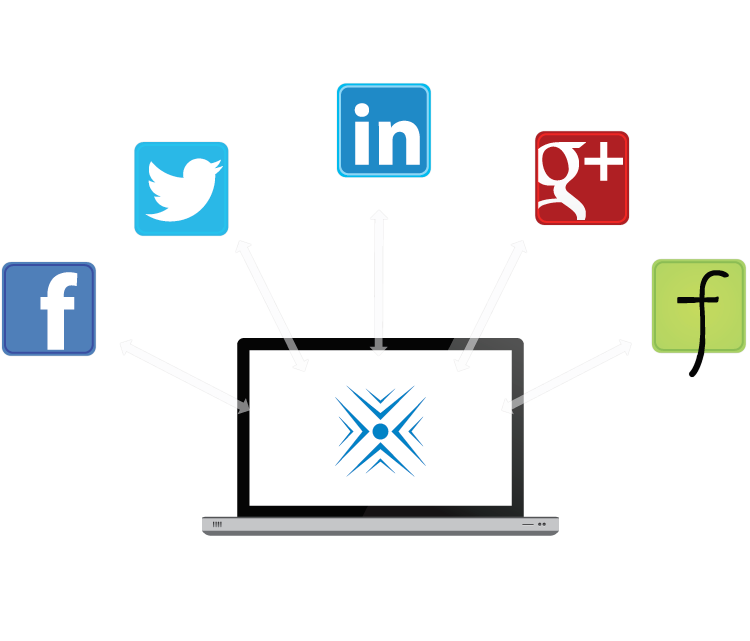 With linked social media accounts, you can automatically syndicate your content to reach a wider audience. Connect with a larger audience than ever before, easily! With social media integration, this is possible. 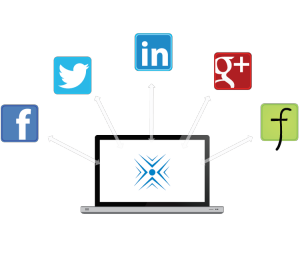 Social networks are word-of-mouth on steroids. Get the word out and save precious time doing it. 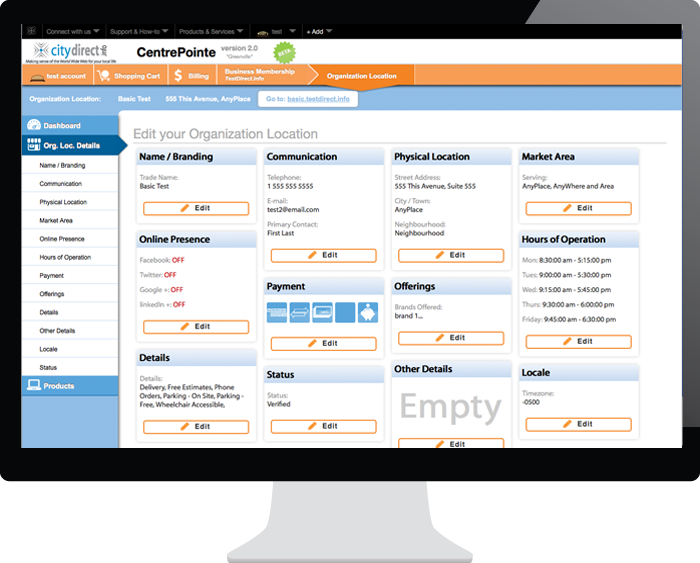 Our Centrepointe platform will integrate directly with your social accounts such as Facebook, Twitter, LinkedIn, Instagram, Tumblr, and more. With our platform, your content can be promoted across your entire web presence instantly with a click of a button. When you make a website with our website builder, you join our business community network which gives your a platform and allows you to stand out in your target market.